Guide dogs are welcome in our theatres. Please email your theatre's Access Champion if you have additional questions or requests regarding your visit. Please inform the member of staff at the time of booking about your dog to ensure that you are booked into the most appropriate and spacious seat for you and your dog. The ATG Access Membership Scheme offers a range of benefits. Click here to find out more and register. We recommend that all our patrons arrive 30 minutes before the performance starts. If you require assistance, please notify a member of staff. We can provide your dog with water and a member of staff can take you to your seat. Not all shows have Captioned performances. Any Captioned performances will have this captioned logo next to it in brochures and online. There is a full list of all Captioned performances currently scheduled at ATG theatres here. Our dedicated Access team will also be aware of when these Captioned performances are and will be able to assist with requests, so you can always call our dedicated Access booking line 0844 871 7677 (Calls cost 7p per minute, plus your phone company's access charge) or typetalk number 18001 0871 297 5477. The display units are placed in slightly different areas depending on the show and theatre, so to find out the best sight lines it’s best to ring for advice. To book the most appropriate seats, please book Captioned performances over the phone (our dedicated Access booking line is 0844 871 7677 (Calls cost 7p per minute, plus your phone company's access charge) or typetalk number 18001 0871 297 5477), or by email with the theatre's Access Champion, and our team will recommend the best position to sit. You may have to collect your tickets from the Box Office on the day of the performance. The induction loop necklace is suitable for patrons already wearing a Hearing Enhancement Aid. If you put the necklace around your neck and switch your hearing aid to the ‘T’ setting, the sound will be amplified. The necklace has an adjustable volume control. Headsets amplify sound through earpieces similar to regular headphones. This is suitable for patrons without a Hearing Aid. You are welcome to use your personal headphones if you prefer. You do not usually need to book in advance, and can collect headsets from the theatre’s cloakroom. The cloakroom will normally be situated in the theatre’s main foyer. Theatre staff may request some form of deposit or identification when you collect your audio equipment. This will be returned to you on return of the equipment. We are sure you will understand this is purely to guarantee the equipment is returned and available for other patrons’ future use. Please contact the venue access champion here with any queries. What are BSL interpreted / Signed performances? Signed performances are for the benefit of patrons who use sign language. 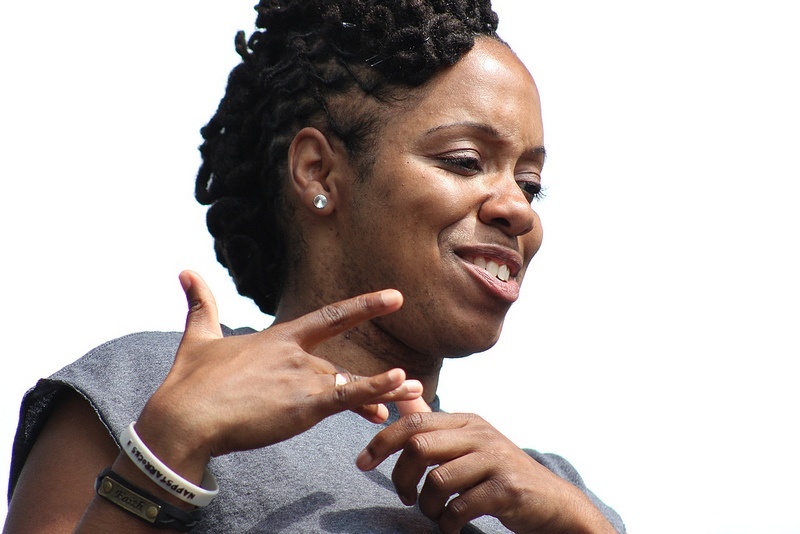 Trained British Signed Language (BSL) signers usually stand to one side of the stage and interpret the script used by the performers at the same time as it is being performed. Not all shows have Signed performances. Any BSL-interpreted / Signed performances will have this signed logo next to it in brochures and online. There is a full list of all Signed performances currently scheduled at ATG theatres here. Our dedicated Access team will also be aware of when Signed performances are and will be able to assist with requests, so you can always call our dedicated Access booking line 0844 871 7677 (Calls cost 7p per minute, plus your phone company's access charge) or typetalk number 18001 0871 297 5477. To book the most appropriate seat, please book Signed performances over the phone (our dedicated Access booking line is 0844 871 7677 (Calls cost 7p per minute, plus your phone company's access charge) or typetalk number 18001 0871 297 5477) or by email with the theatre's Access Champion, and our team will recommend the best position to sit. Seats with the best view of the Signer are held back from general sale and set aside for patrons who require a good view of the signer. Theatre staff will endeavour to help you in any way they can. Please ask for anything you need and they will do their very best to assist you. - With friendly and helpful advice and service. - Booking taxis or assisting you into a taxi. - Providing one to one sighted guiding. - Showing you to your seats or facilities. - Storing equipment and make sure it is available when you need it. - Regular checks that you are comfortable.